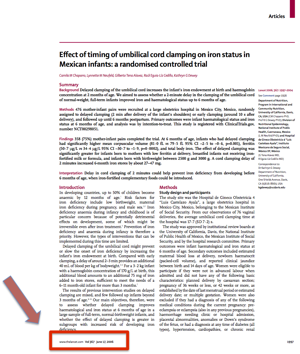 On this date, June 17, the paper 'Effect of timing of umbilical cord clamping on iron status in Mexican infants: a randomised controlled trial' by Camila M Chaparro, Lynnette M Neufeld, Gilberto Tena Alavez, Raúl Eguia-Líz Cedillo, and Kathryn G Dewey was published in Lancet 10 years ago. 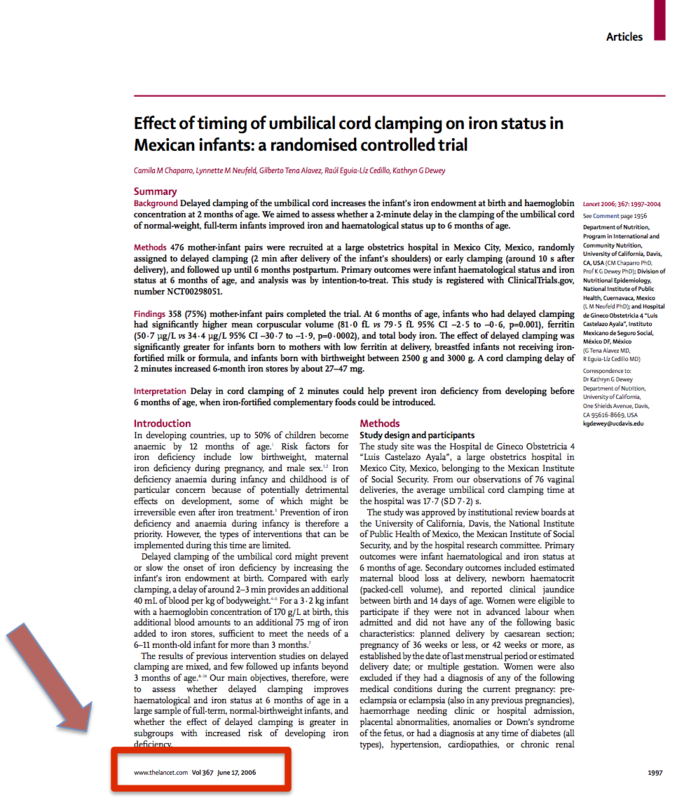 For all of us that believes that delayed cord clamping is an important subject in term newborns, this study was and is very imortant. Ten years ago, it was larger and had a longer follow-up than the earlier studies, and it was also conducted in a rigorous manner scientifically. It also contributed a lot to the conclusions of the systematic reviews that were published the following years. According to PubMed it has been cited in 262 other papers, thats some kind of achievement!